Well who would have thunk it? Certainly not me, but guests that we've had here over the holidays and this past summer, all love Sandie. Now she looks like a Muppet. 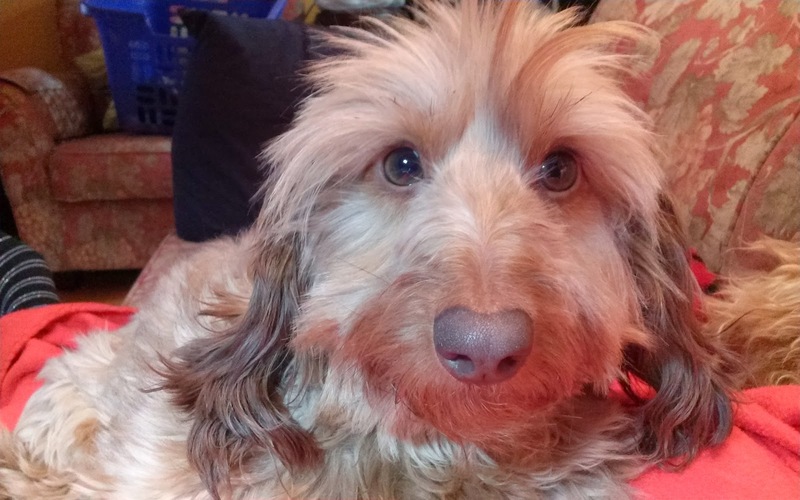 That's what happens when a long hair and a wire haired dachshund get together. But everyone loves Muppet's, so she's got that going for her. When you arrive Sandie will bark at you longer than the other dogs, so that is longer than anyone wants to hear. 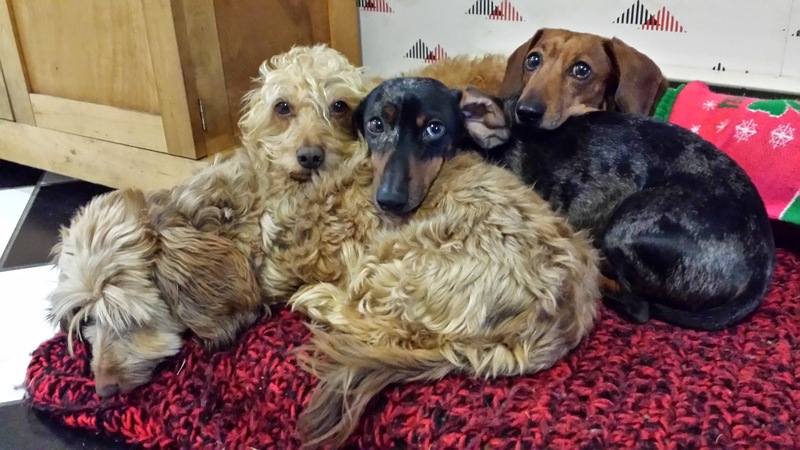 Dachshunds do love to bark, but when they've all quieted down Sandie will be the one laying in someones lap with her feet in the air. When you get down to it she doesn't have a mean bone in her body. We thought our niece's might try to sneak her out in a suitcase after Christmas. My son said he would take her home too. Turns out she will fetch a Frisbee pert near forever. That's the make of a perfect dog for him. Plus the lap dog thing. The Christmas hustle gives everyone but Sandie the look of concern. We're expecting our daughter her next week. 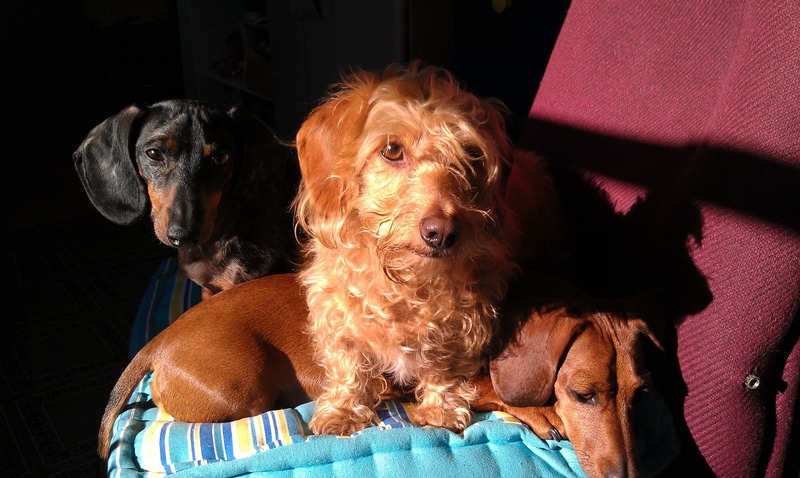 She has four of her own dachshunds, but figures Sandie will be her stand in while she's away. I think she'll be the best. 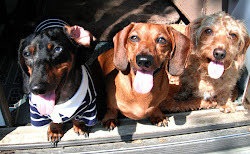 Even though Peachy was originally her dog, her and Spaatz and even Fooze are pretty much attached to me at the ankle. So little Sandie, the dog we saved from a cat lady has found a home where she not only gets love, but gives a lot too.